[Neoxy] always wanted surround sound for his computer, and one day he managed to get a hold of a dead 5.1 system. Why buy one when you can repair someone’s rubbish, right? 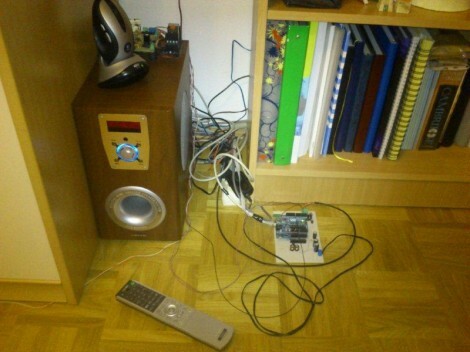 That turned out to be easier said than done, but after several false-starts he managed to resurrect the audio system by replacing the microcontroller. We find his trouble-shooting technique interesting. 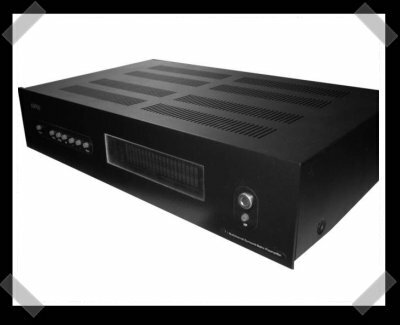 The amp would power up without a hitch but no sound would come out of it. So he took a headphone cable and used the L and R conductors as probes. That cable was fed from an MP3 player, and by touching the probes to the audio inputs for the pre-amp and amplifier circuits he could get great sound out of the speakers. Reasonably certain that those boards were working fine he narrowed down the troubles to three chips that mix, select inputs, and control the system. A lot of prototyping with an ATmega328 and an Arduino led him to the functionality you see in the video after the break. Not only did he get the system working, but he’s using the Arduino to add Internet control for the device.